The length of the GRangesList is the number of GRanges object within. To get the length of each GRanges we call elementNROWS. We can index into the list using typical list indexing of two square brackets. In our discussion of SummarizedExperiment applications, we imported data generated using an Illumina 450k methylation array. In this section we’ll indicate how to use GenomicRanges and Gviz to explore methylation patterns in the context of gene-level annotation. The idea is simple: just extract the M-values (log-scaled locus-specific estimates of ratio of methylated to total DNA) from all samples and plot them in the context of gene models for selected genes. 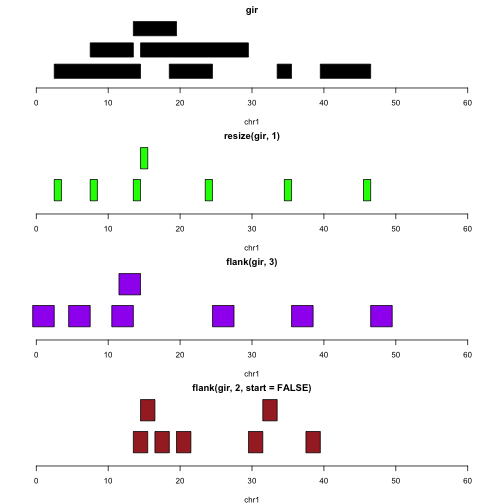 ## [preprocessQuantile] Mapping to genome. Those steps require an internet connection and take just a few minutes. Once we have glioMeth in our session, add the following code to your session too. We will discuss how it works below. 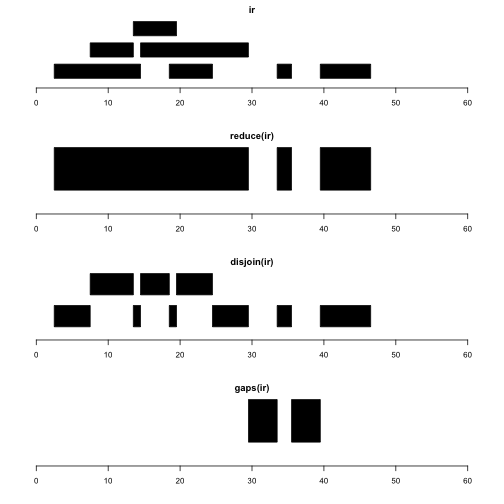 The comments to the code indicate the three phases: acquire gene region and add the transcript annotation for informative plotting of the union of all exons; reduce the GenomicRatioSet (which inherits from RangedSummarizedExperiment) to the interval of interest, determined by both the gene model and the rad argument; use Gviz to construct plottable objects and plot them. In the 6x module we will learn how to use additional packages to create an interactive display of this type, allowing us to select genes and zoom into regions of interest ad libitum. For users of bedtools, the HelloRanges package is useful for converting concepts between BED and GRanges conceptual frameworks.